CORTRAK* 2 Nasogastric/Nasointestinal Feeding Tube with Electromagnetic Transmitting Stylet with ENFit® Connector works with the Avanos CORTRAK* 2 Enteral Access System (EAS) and CORTRAK* 2 Nasogastric/Nasointestinal (NG/NI) feeding tubes. As a result, clinicians can place NG/NI tubes at the bedside without the need for X-ray confirmation. Medical providers can choose from various diameters and lengths, as well as optional features like an ENFit* Connector and an Anti-IV Connector. Added benefits include a water-activated lubricated tip and an internal lumen. 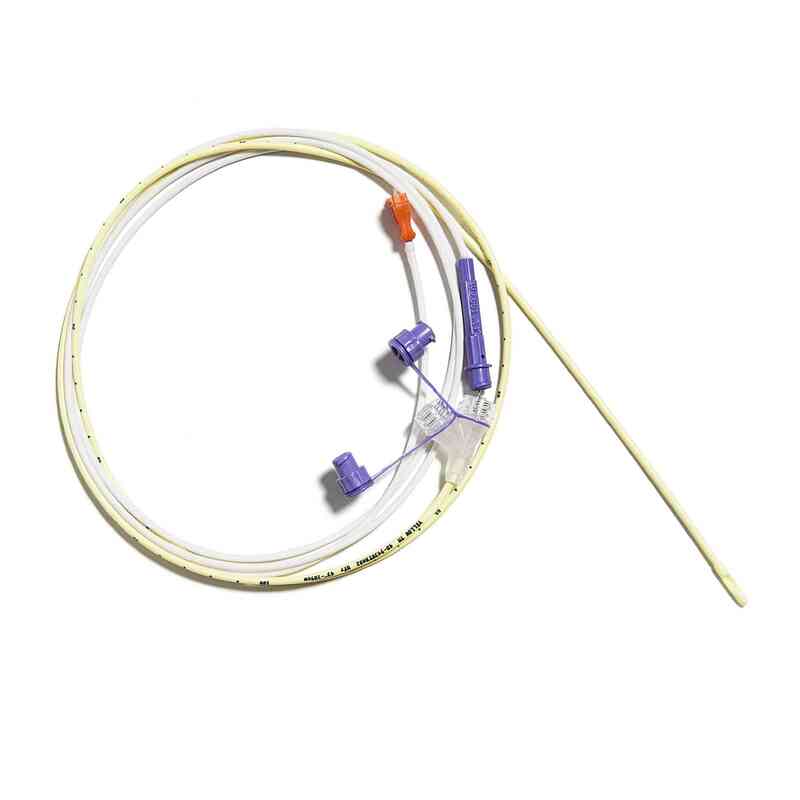 CORTRAK* 2 Nasogastric/Nasointestinal Feeding Tube with Electromagnetic Transmitting Stylet with ENFit® Connector is intended to use with the Avanos CORTRAK* 2 Enteral Access System (EAS) and CORTRAK* 2 Nasogastric/Nasointestinal (NG/NI) feeding tubes. This combination of tools empowers clinicians to place NG/NI tubes at the bedside without the need for X-ray confirmation. Avanos Medical, a leader in the enteral feeding market, offers a wide variety of innovative, high-quality enteral feeding tubes and accessories uniquely designed for delivering enteral nutrition. When used with the CORTRAK* 2 EAS, our polyurethane CORTRAK* 2 NG/NI tubes enable real-time tube tip tracking. This aids with safe tube placement, reduction in the need for X-ray confirmation, and improved patient care. Multiple Options From Which to Choose Feeding tubes are available in 8FR, 10FR, and 12FR, as well as with lengths ranging from 91cm to 109cm. Clinicians can choose between having Anti-IV connector features, as well as connector types that are either flow through or non-flow through.